The Apple Watch is a beautiful and utilitarian piece of technology by default, but sometimes a good strap can take it to the next level. We’ve compiled a list of some of the best Apple Watch straps on the market to help you wear your watch in style. 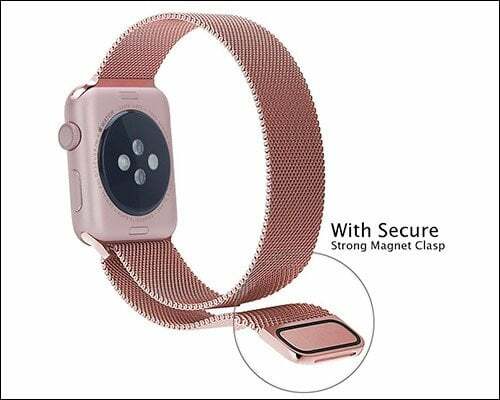 One of the benefits of having some of the best Apple Watch straps is that there are a variety of options available that will suit your needs in various different scenarios. Perhaps at a business meeting you want a leather strap that gives a professional vibe, only to switch later on after work for a more colorful or trendy style. There are a variety of options available to suit different aesthetics, and we’ve compiled the best of the best Apple Watch straps to help you find an option that works for you. All of the Apple Watch bands listed below should work for Series 2 and Series 3 devices. Many may work on the first generation watch, but you should double check with the manufacturer to make sure your device is supported. The iStrap has a simple and professional design made of top-grade calf leather, and has been expertly crafted to give off a luxurious vibe. 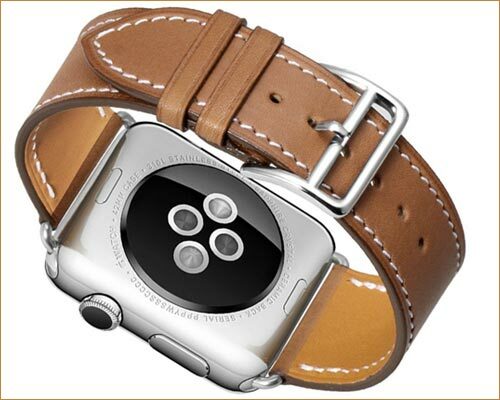 It has visible stitching as well which make for a classy pairing when combined with the Apple Watch. iStrap is also one of the most versatile brands on this best Apple Watch straps list, as it comes in 9 attractive colors such as blue, brown, green, red, mix-red, mix-blue and more. Leather doesn’t necessarily have to mean brown, and you can collect a variety of colors and designs to suit your needs. eLander is another leather brand, although the metal clasps are what set this watch apart. Another cool feature of the eLander brand is the multiple cut holes at the back that ensure this is one of the best Apple Watch straps in terms of sizing flexibility. The band is available for both 38mm and 42mm Apple Watch models as well, making it a watch band that should work for pretty much everyone. 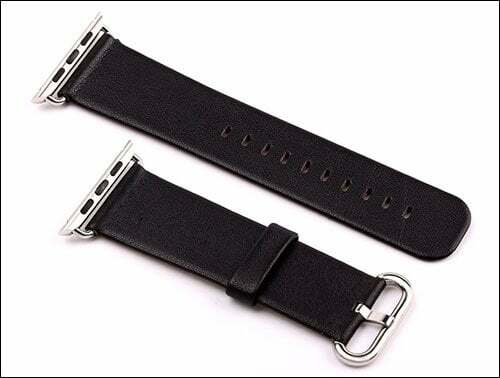 ELander stands by their products as well, and one of the facets that make this one of the best Apple Watch straps is the lifetime warranty that will protect your investment for years to come. The J&D Tech Apple Watch Band works for Series 1, 2 and 3. The genuine leather has a soft-textured finish, and precise cut holes that make it easy to fit the majority of wrists. Just like the eLander model, it supports both 38mm and 42mm models, and it’s available in a variety of colors just like the iStrap such as blue, brown, pink rose and more. If you’re looking for a combination of the two wrist straps above, the J&D Tech model might be one of the best Apple Watch straps for you. The majority of the best Apple Watch straps on this list are made out of leather, but whether you are looking for a different option for aesthetic or ethical reasons there are some top options on the market with different materials as well. The BRG brand is made out of stainless steel, and gives the aesthetic of a more traditional watch to Apple’s smartwatch product. The stainless steel finish doesn’t mean you need to be stuck with silver, however, with additional options like Rose Gold, Black, and Gold joining the mix as well. 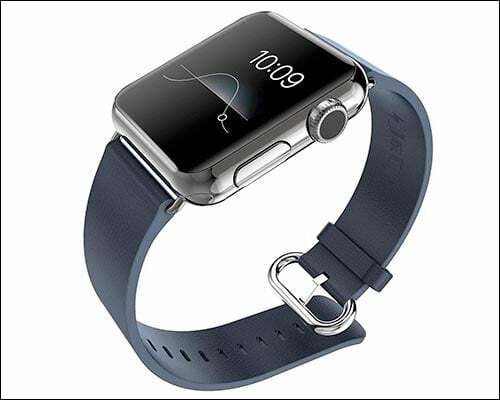 The Apple Watch band is available for both the 38mm and 42mm models, and is backed by an 18-month warranty. 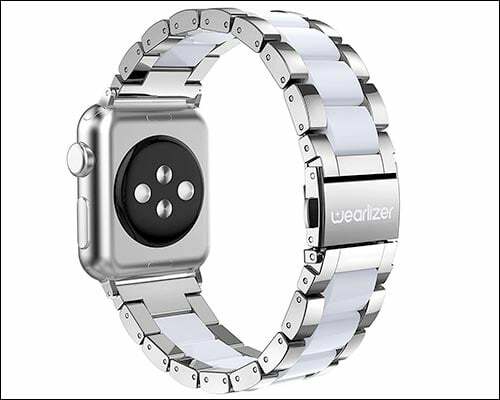 While Wearlizer is the last of the best Apple Watch straps, it certainly isn’t the least impressive. The stainless steel design is beautiful, and the addition of resin on the band adds even more charm. The bandships with an adapter that allows you to install and remove it without any issues, and a removal tool makes that process even easier. It is available for28 and 42mm bands, comes with a 12-month warranty, and is available in seven different colors— truly making it one of the most versatile bands around.